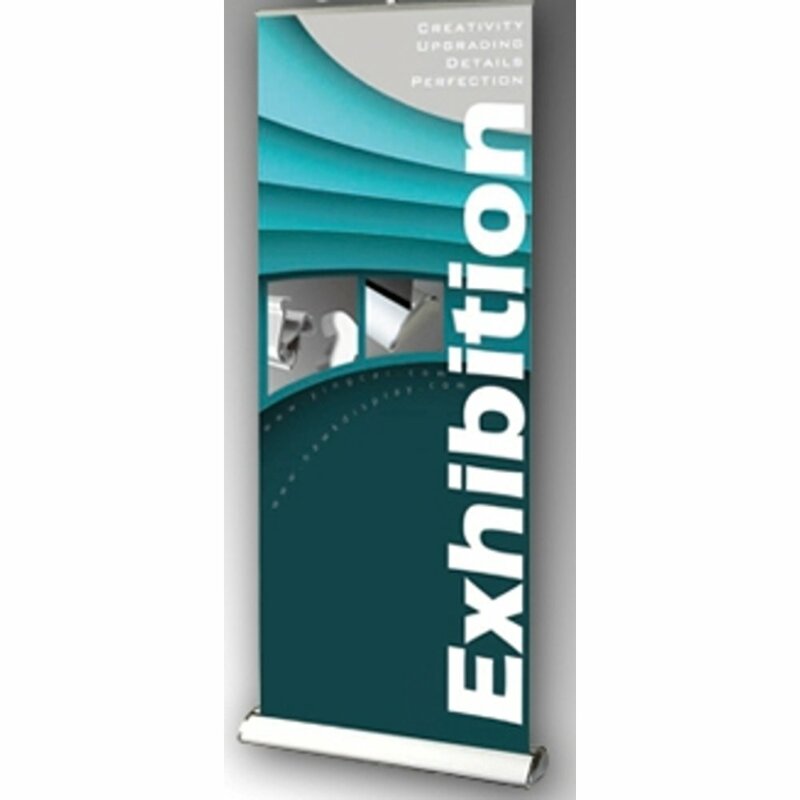 Roll Up Deluxe is a superior banner stand for retail, POP and trade show graphics. 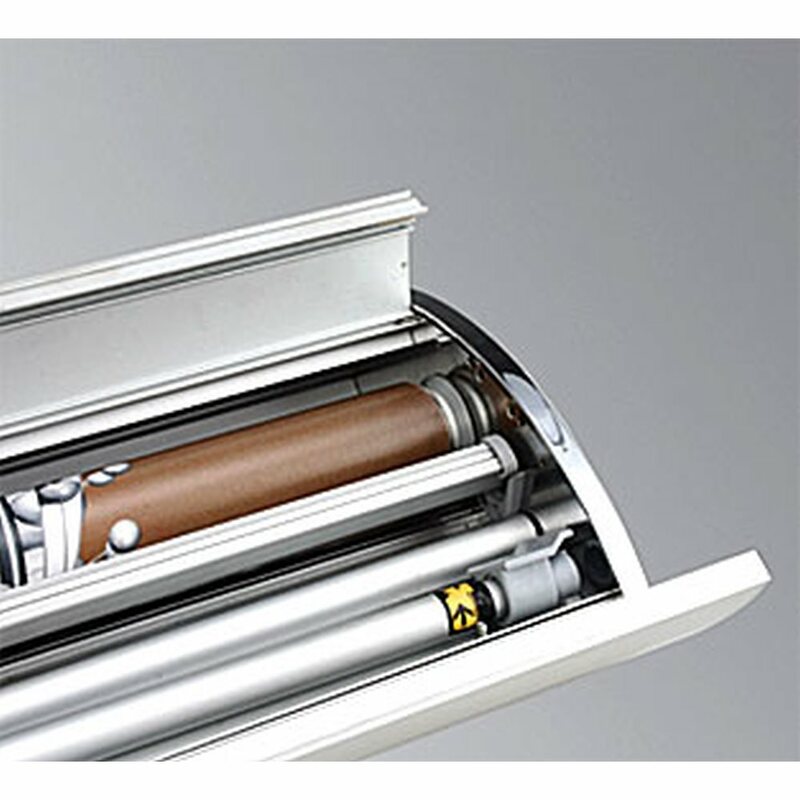 Benefits include a telescoping adjustable pole (63” - 86.6”), storage inside the base for the pole and top bar, and a knob to adjust the tension on the graphic. 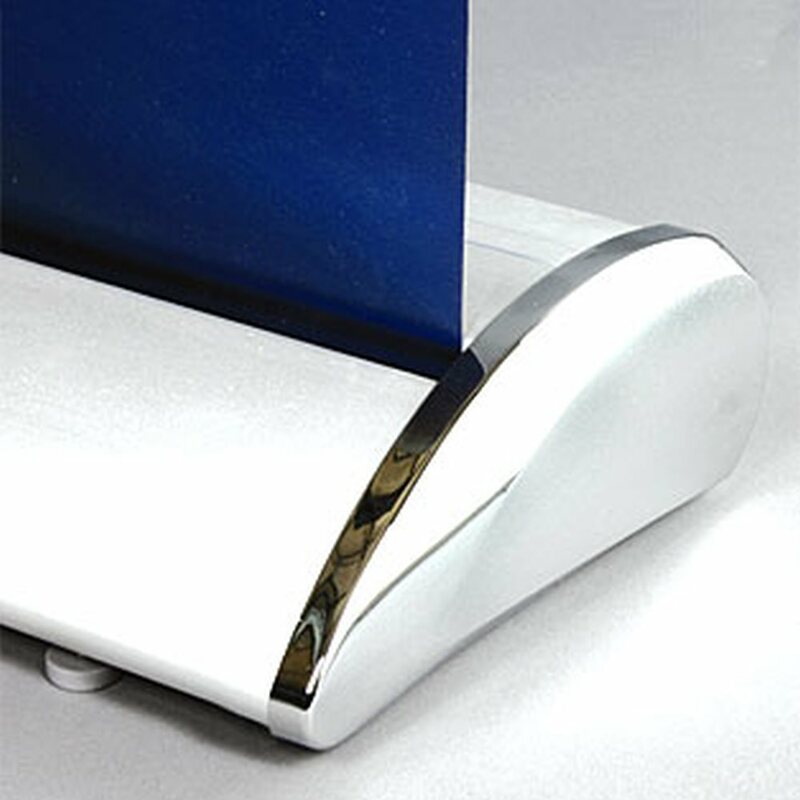 The top panel profile clamps your media securely in place, without the need for adhesive strips and the pole attaches to the top panel from behind eliminating unsightly hook hangings on the top of your graphic.